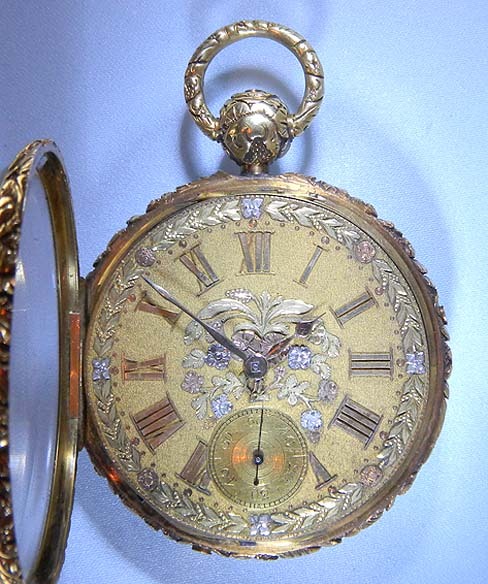 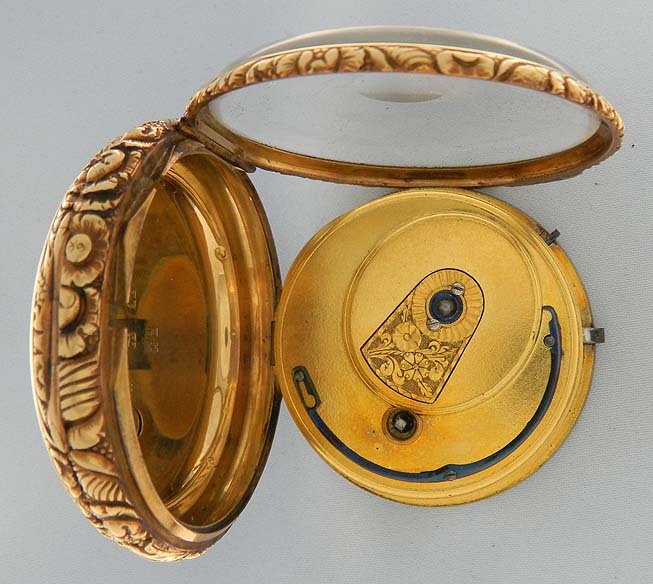 Fine and beautiful English lever and fusee antique pocket watch with compensation curb and multi-color gold dial by Roskell circa 1820. 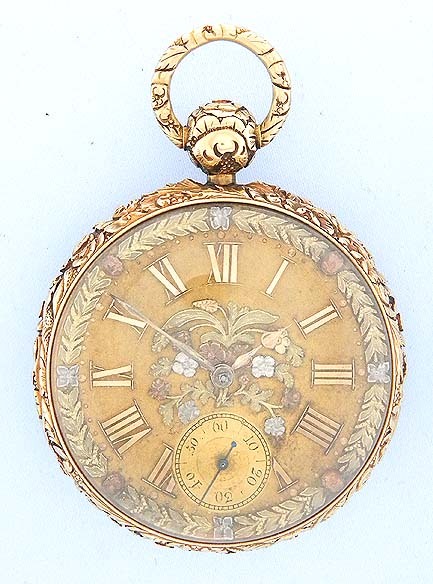 Wonderful matte gold dial with applied gold numbers and applied decorations in various colors of gold. 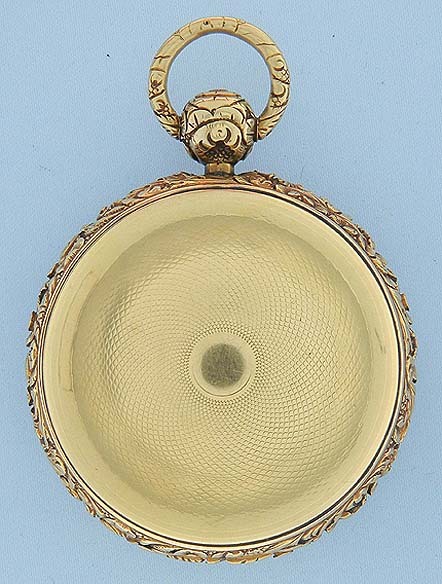 Very heavy case with engine turned back (minor dings) and cast and chased bezels, pendant and bow. 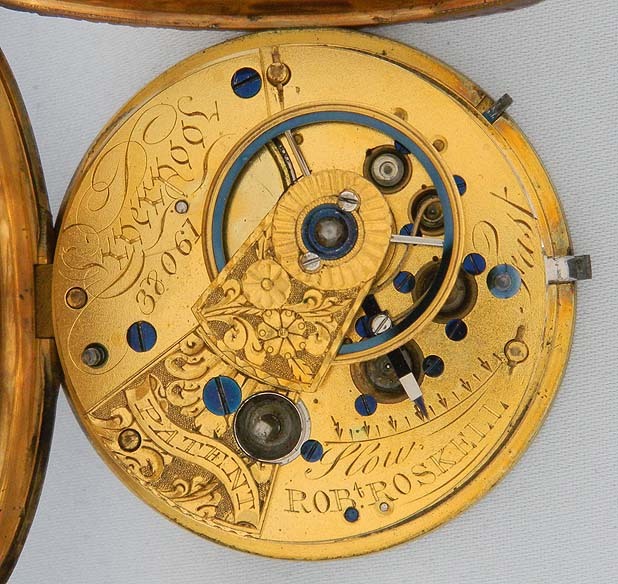 Gilt 16 jewel full plate movement with screwed jewel settings, uncut bimetallic balance, Liverpool windows, and diamond cap jewel.